We’re proud of our relationships with our clients, whether we’re working alongside a sole trader, another small business or a multinational corporation. We have worked on setting out, measured survey and level survey projects with Clerkenwell-based design firm ThirdWay Interiors, including this measured survey at Helios Court in Hertfordshire. Our work with London-based architecture and interior designer Life U Design includes measured surveys. L+ Architects produce elegant architectural drawings and CGIs. They specialise in designing with nature and creating a connection with the natural environment. One recent job we did with L+ Architects was a measured survey in Sheen Lane, London. We have worked with Maz Rahman and the team at RD Architecture for several years, providing topographical and measured surveys. We worked with the Southend-on-Sea-based architects StoneMe Design on topographical surveys. We provided renowned West London architecture firm Jo Cowen Architects with measured surveys. We often work with Wedgewood Homes, an innovative housing developer based in Kent. We predominantly provide the Wedgewood Homes team with setting out surveys, such as this one by Chris in Broad Oaks in March 2018. Our ongoing projects with Southend-based Marmus who design and build marine structures such as piers, jettys, retaining walls and more. We undertake surveys on their behalf. We work with the Essex-based design and construction company on various engineering schemes including road building, new bridges, drainage etc. We have worked with Dutch construction company Hollandia on various setting out projects including Ipswich Flood Barrier, Brighton Hospital Helipad and bridge projects around London. We undertake various structural monitoring survey schemes to check for movement in buildings whilst construction is taking place. Although our relationship with Hortons Valuers started fairly recently, we’ve enjoyed working with Managing Director Colin Horton on a variety of lease plans and look forward to a long partnership. We have worked with Southend-based property management services firm Pier Management on a number of lease plans. Southend-on-Sea-based Paul Robinson Solicitors commissioned us to do lease plans. 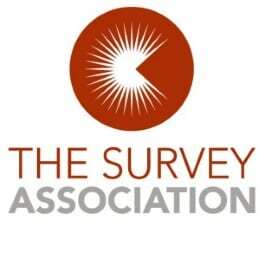 As of January 2019, we are full members of trade body The Survey Association. We look forward to partaking in training courses and being part of the TSA community. 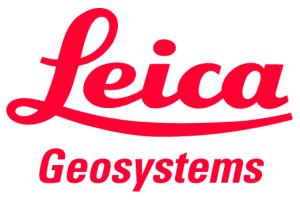 We’re proud to use industry-leading Leica Geosystems equipment, including total stations, GPS and 3D scanning equipment. We became a corporate member of Essex Wildlife Trust in May 2018. We see a lot of the great outdoors on surveys and feel it’s imperative that we do our bit to help protect the environment.